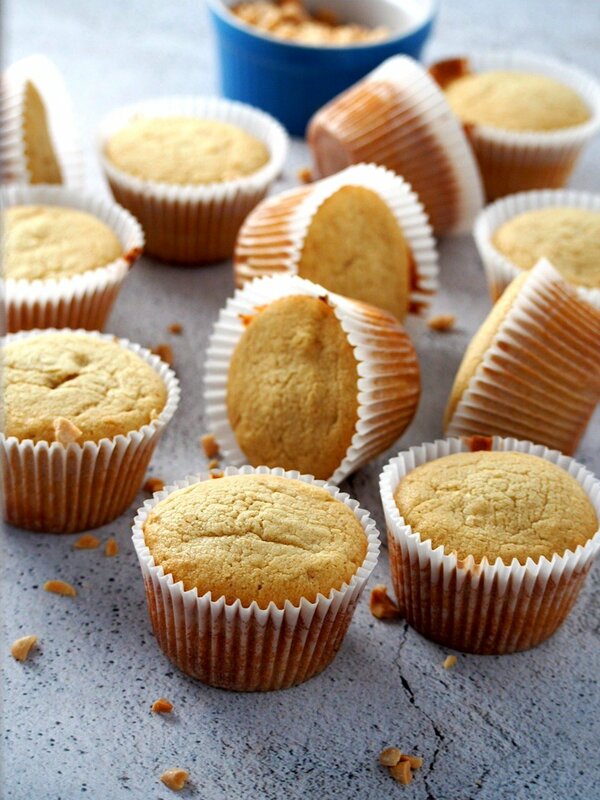 Moist, soft and just pleasantly sweet, these Peanut Butter Cupcakes are a nice, light treat. 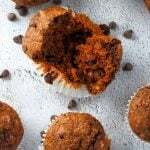 They are super delicate bites with the perfect note of indulgence that you need. 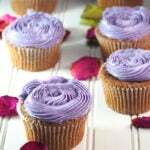 So, you are in the mood for cupcakes today? It usually arrives to me. You know, when you want some treats but not necessarily the ones where you’ll drown in richness. You are looking at the perfect ones. These are moderately sized, ultra light and just appropriately sweet. I mean, I don’t know about you but lately, cupcakes have gotten that reputation of being all-icing and too sweet for me. 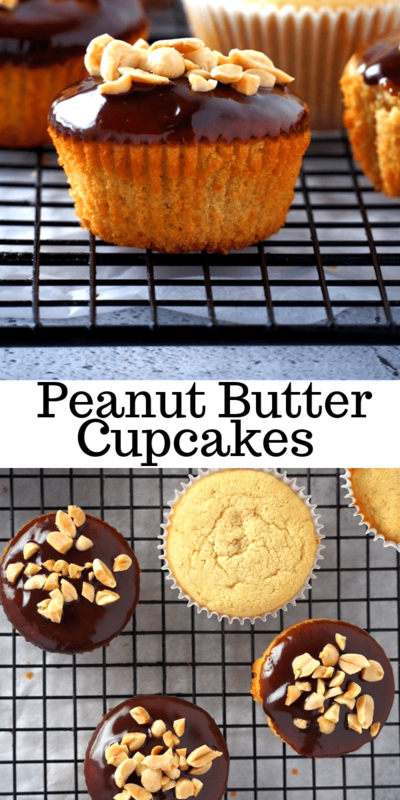 Which is not exactly the case in these peanut butter cupcakes. 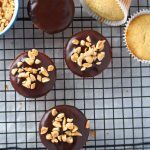 You definitely can savor the cake part of the cupcakes and the finishing is a no-fail chocolate glaze that is always a winner in desserts. These simple goodies are not intimidating on the icing part that you can stuff them in your loved ones’ lunch bag for a light dessert. I don’t think they will complain. Without the glaze, the cakes are good on their own. They are moist and delicate, and the hint of peanut butter gives them a subtle flavor that is not too rich. 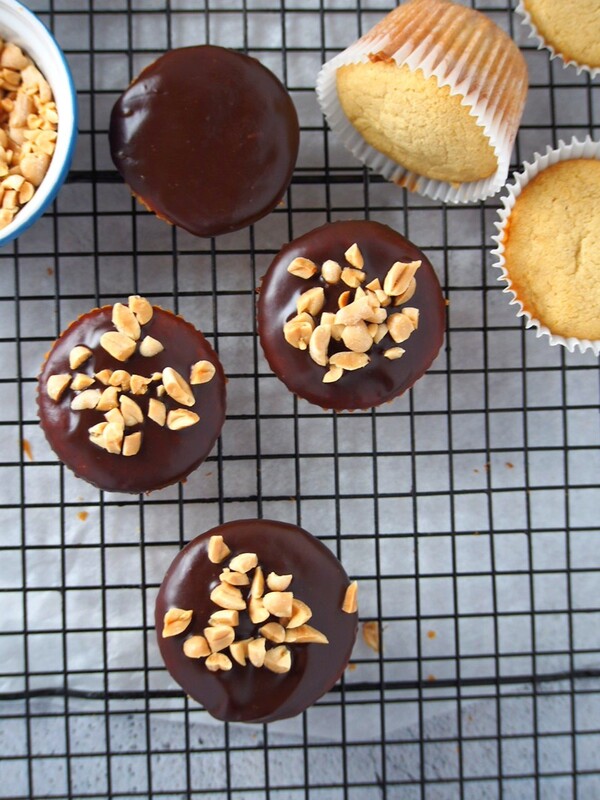 But then, If the chocolate glaze seems too plain for you, you can make your own frosting too. Maybe this peanut butter frosting which looks so lip-smackingly good, or this peanut butter glaze. Mmmm.. your call. But if plain and simple is your game, then be with me. 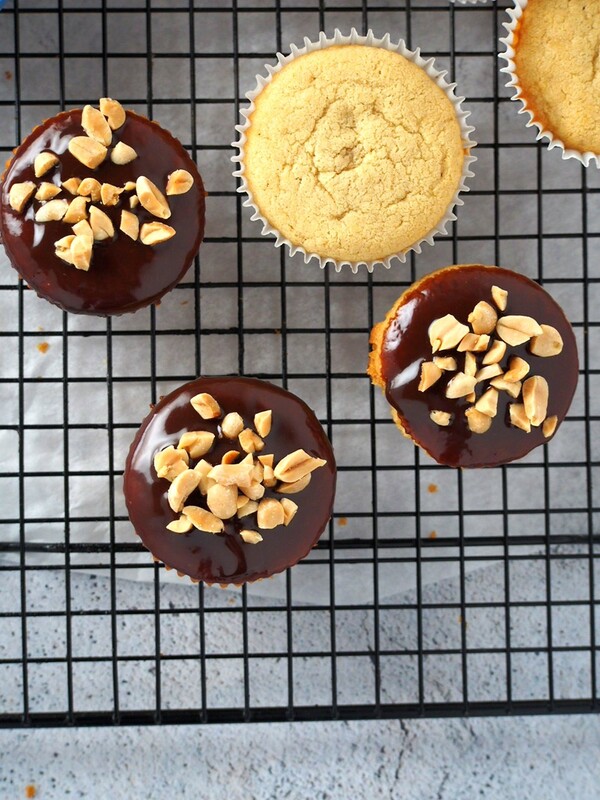 I stand by the fact that the simplicity of these peanut butter cupcakes makes them truly delightful. And let’s not forget the peanuts. 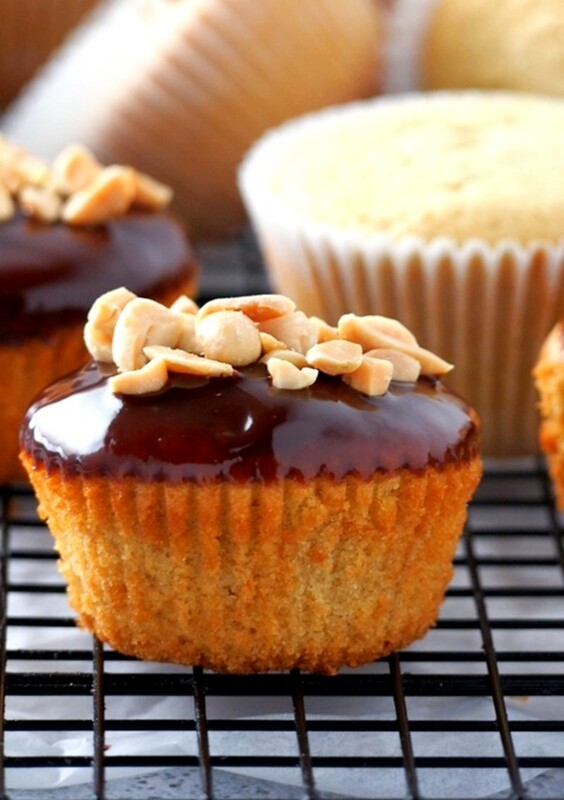 The peanuts give them character, the texture that makes these cupcakes so addicting to eat. This part is not to be skipped, guys. It is the perfect topping to these simple treats. 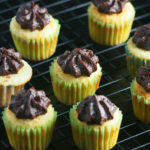 Whip a batch of these when you are craving a light indulgence for your weekdays. Peanut butter, chocolate and peanuts- it is some good flavor combination to be enjoyed! 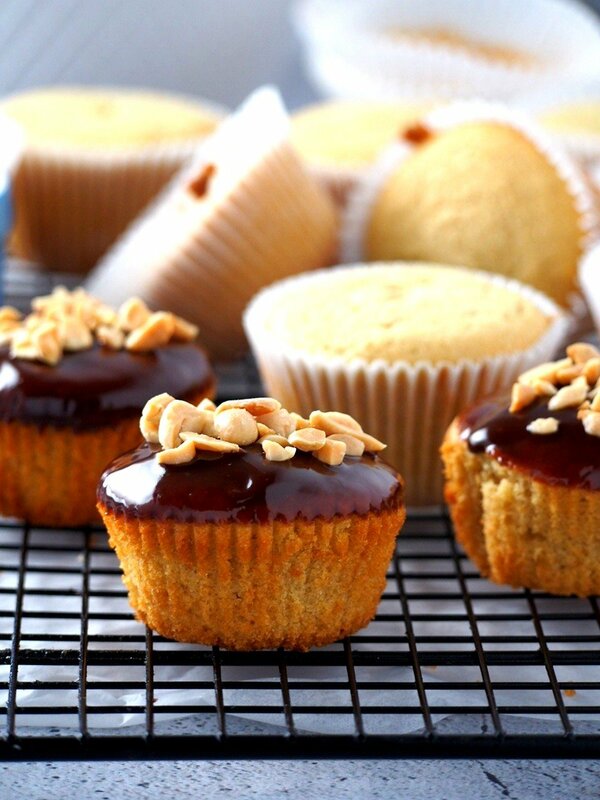 These peanut butter cupcakes are delightfully moist and soft and pleasantly sweet. These are your ultimate chocolate peanut butter treats. 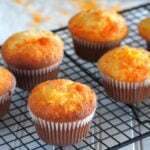 Preheat oven to 350 F. Line a muffin pan with paper cups. In a large mixing bowl, cream together butter and sugar until light and fluffy using a mixer (either hand-held or stand mixer). Beat in the egg and vanilla. Add the peanut butter and beat until incorporated. In another bowl whisk together the flour, baking powder, baking soda and salt. Add the powder mixture to the mixing bowl and alternately add the milk. Add the powders in three additions and the milk in two additions. Spoon the batter into 12 paper cups. 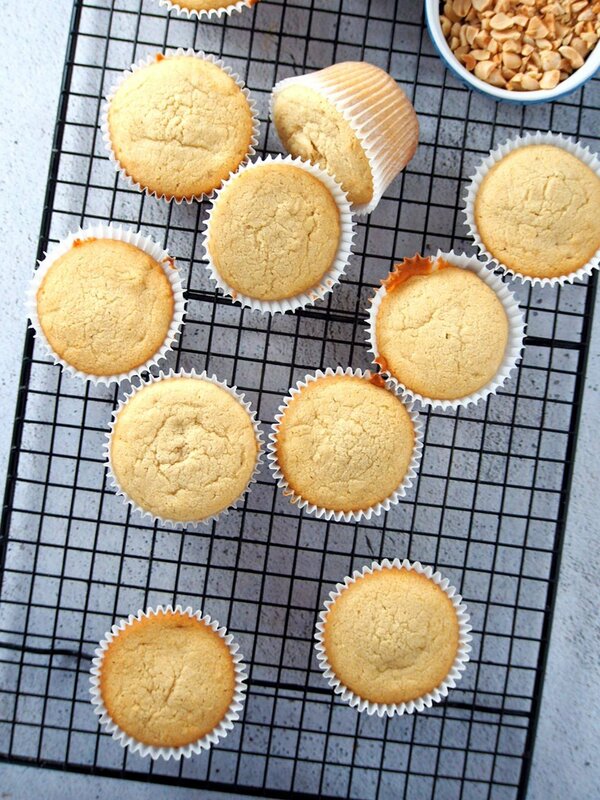 bake for 2-25 minutes, or until a toothpick inserted at the center of a cupcake comes out clean. Let the cupcakes cool on a wire rack. Combine butter and chopped chocolates in a heatproof bowl. In a small saucepan, heat the cream until it starts to bubble. Turn off heat and pour the hot cream over the chocolate and butter in the bowl. Stir until smooth. Dip the top of the cupcakes in the chocolate, then sprinkle some chopped peanuts. Let the cupcakes sit for a moment until the chocolate is set.